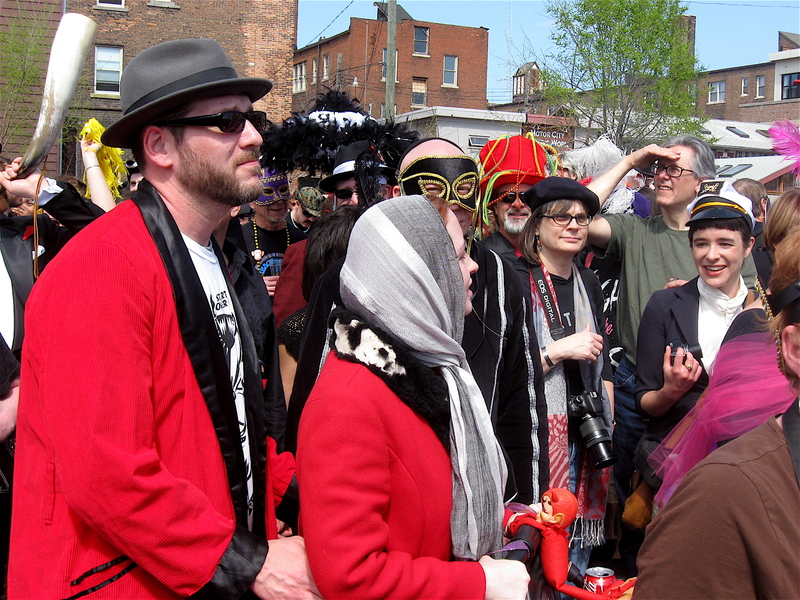 It was a perfect spring weekend in Detroit for bicycle enthusiasts and for those attending a Mardi Gras style parade through the Cass Corridor. 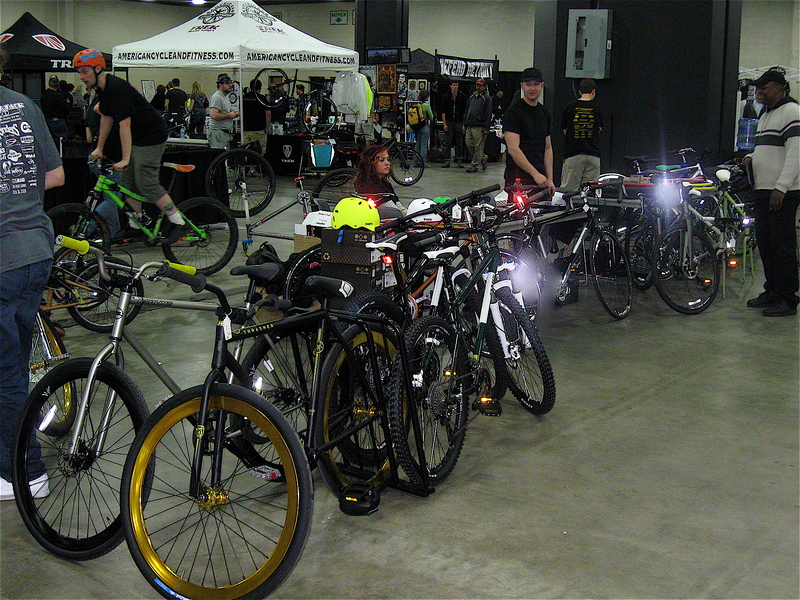 The weekend kicked off Saturday with the first annual Detroit Bike City bicycle show and swap meet. It was held at Cobo Center downtown. 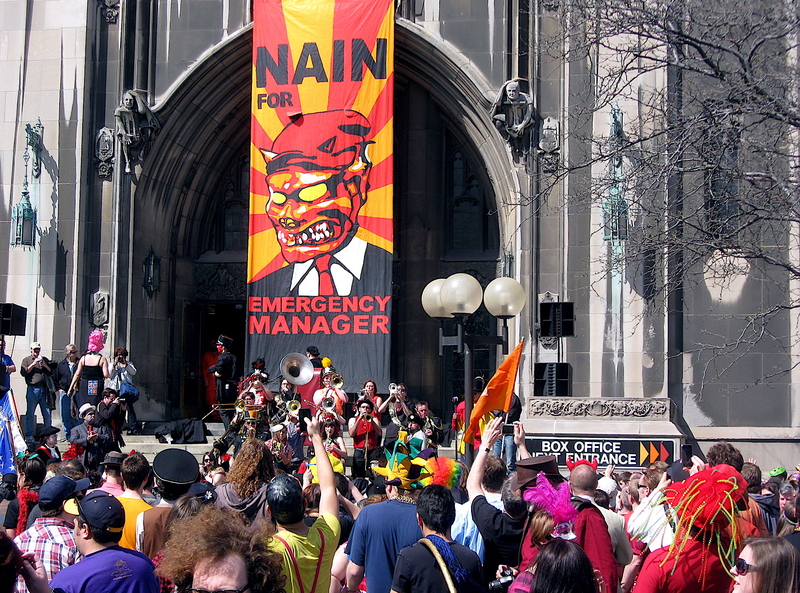 Sunday was the third annual Marche du Nain Rouge, and that event took place in the city’s mid-town neighborhood. 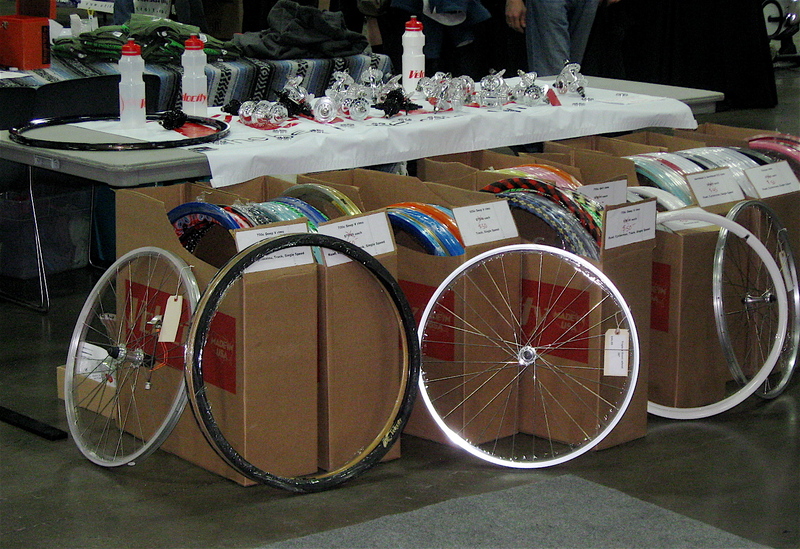 The Detroit Bike City show and swap meet, the first of its kind in the city, showcased a variety of cycling vendors. They were selling everything from collectible 1960’s-70’s vintage bikes, priced upwards of $350, to all types of new bikes. 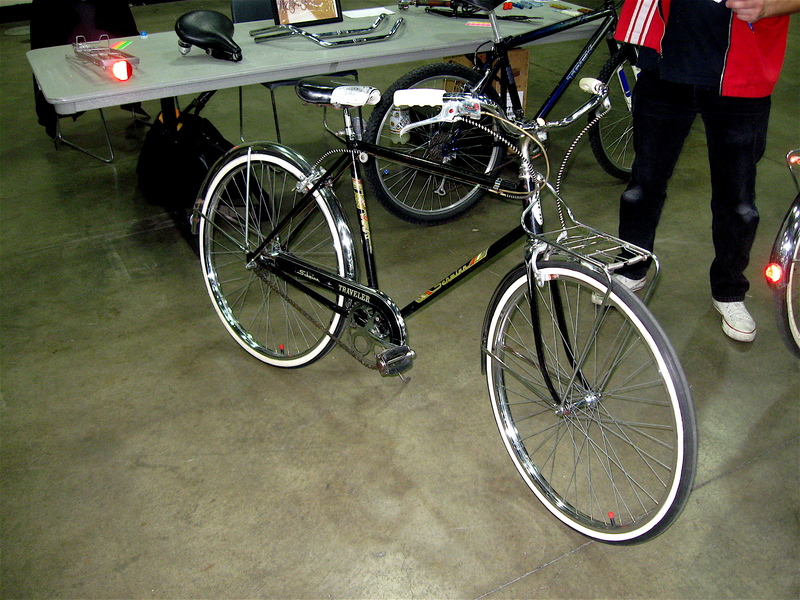 These included mountain, hybrids, road bikes and retro cruisers, and they were selling for substantially more than the used bikes. 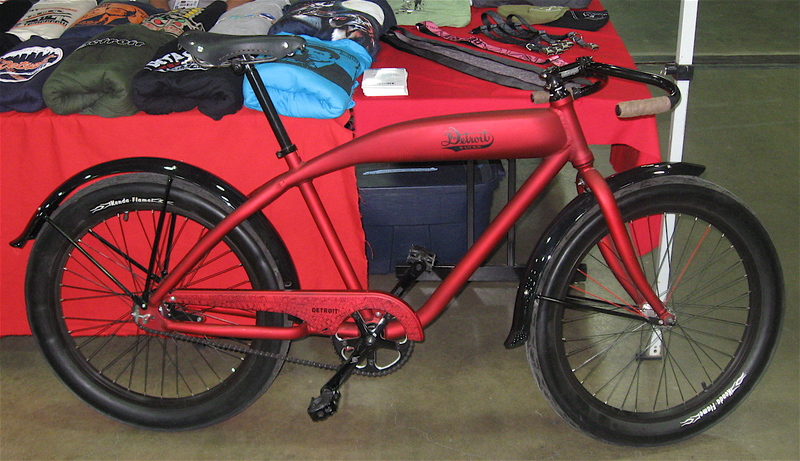 The new bikes I looked at were considerably lighter and technically superior to my 15-year old, steel framed hybrid. As compared to them, my bike is as heavy as a 1950’s Buick. Very cool, retro looking "Detroit Flyer"
In addition to bicycle vendors, there were a variety of used parts, bike accessories, and other cycling related sellers offering items such as helmets, t-shirts, stickers, etc. There were other vendors present who were promoting organized tours, trails and bike safety. They offered information on the Tour de Troit and the Michigan Trails & Greenways Alliance, among other things. The event also showcased stunt riders zipping off ramps and twisting and turning in the air. I arrived in the early afternoon and there was still a good size crowd wandering from table to table checking out the goods and services. 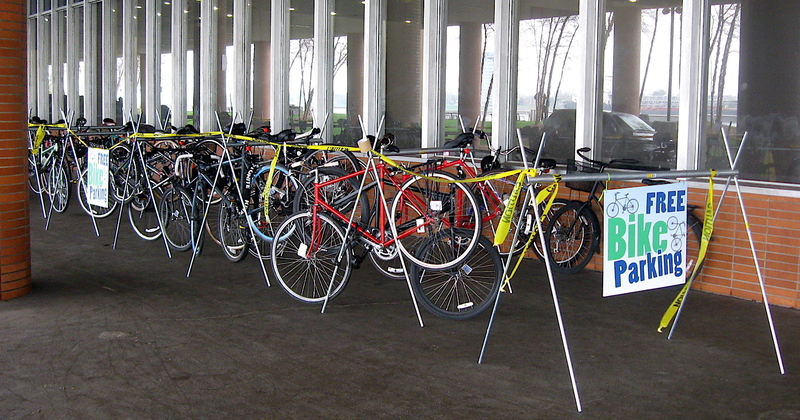 The event seemed to be well-organized, and free secured parking was available to those riding to the show. On Sunday, the third annual Marche du Nein Rouge was held in Detroit’s mid-town neighborhood. The annual event is held the first Sunday of spring. It’s an event designed to banish an evil 300 year-old Red Devil from Detroit, and by doing so, lifting a curse from the city for the upcoming year. After a rousing opening ceremony in the parking lot of Detroit’s Traffic Jam Restaurant, where the Devil himself made an appearance, costumed revelers and parade watchers marched their way through the Cass Corridor to the imp’s place of eventual demise, The Historic Masonic Temple. The stylish Mardi Gras type parade, led by the swinging Detroit Party Marching Band, included those dressed as unicorns, Christian brothers, angels, pilgrims, assorted monsters and other bizarre characters (some without costumes). At the Temple, the Devil taunted the crowd by spewing out evil doings that all Detroiter’s should partake in. After a few minutes of listening to that madness, people in the crowd had had enough and began booing and pelting the Devil with what appeared to be tomatoes, driving him away for another year. For more information on the myth of Detroit’s Red Devil, you can click here to read my blog entry on last year’s Marche. Saturday was a perfect day in Detroit to be on a bicycle. It was breezy, sunny, and the temperature was in the mid-seventies; an unusually warm day for mid-March. So I took advantage of the day’s heat by jumping on my bike and riding the ten or so miles to downtown. Pedaling along, I was quickly reminded how cautious I needed to be on my spring rides. Not so much because of buses and traffic; that’s a given…but because of the broken glass and trash that seem to accumulate along the curb areas this time of year. 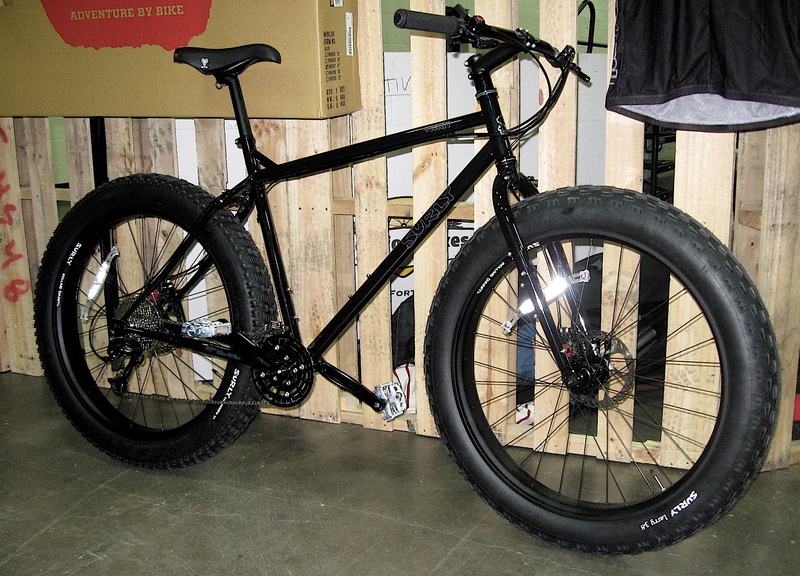 I didn’t want to fix a flat tire on my first two-wheeled trip downtown this year. On my way I passed through the Historic Eastern Market. It was jammed with shoppers pulling carts and carrying bags of fresh goodies. Russell Street, the main through street of the market, was gridlocked with cars, all vying for a place to park. Like most warm days at the market, blue smoke from barbeque pits that lined a section of the street cast a sweet-smelling haze across the area. It was also St. Patrick’s Day, and plenty of shoppers were dressed in green. From the market I zigzagged through numerous downtown streets to check-out the St. Patrick’s Day festivities. 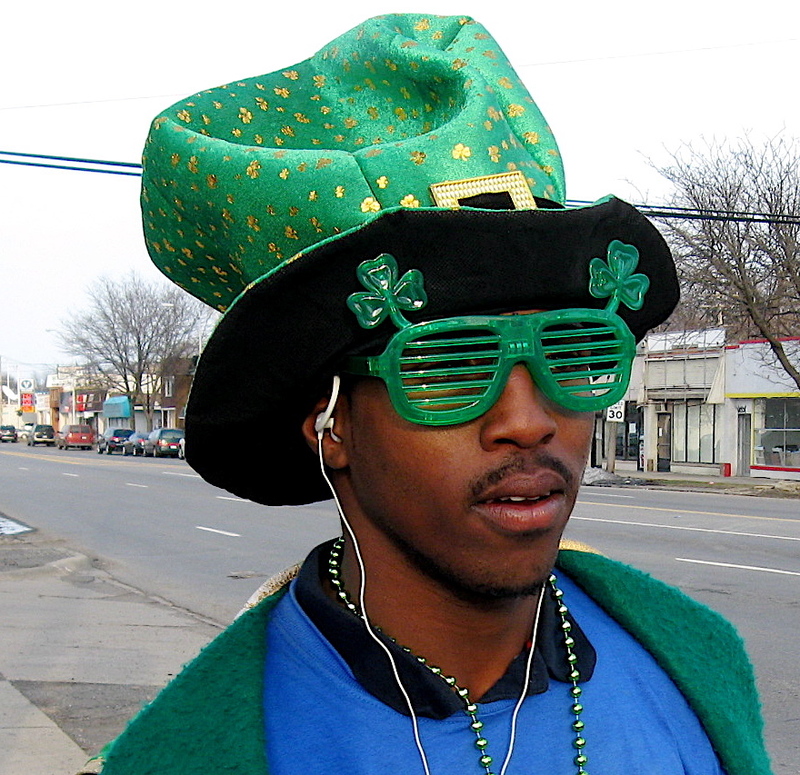 Like Eastern Market there were gobs of people dressed in green wandering the streets. The city’s most famous downtown Irish pub had two circus sized tends set up in parking lots behind the place, and they were jammed with revelers. In fact, there were long lines of motionless people leading into the two tent entrances. The lines, at least four people wide, stretched a block from each opening. I could hear music coming from tents well before I got there, and surprisingly it wasn’t Irish. It was Techno! So much for a true Irish celebration. 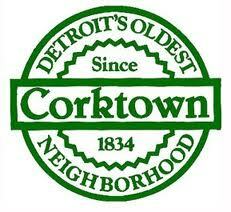 Next, I biked out Michigan Avenue a mile or so, to Detroit’s oldest neighborhood, Corktown, an early enclave of Irish settlers. The Corktown area of Michigan Ave. is lined with Irish saloons and, like the place downtown, they were crammed with party goers brightly dressed in the color of the day. Many were moving from pub-to-pub taking in the activities. But unlike the place downtown, the music of Ireland was pouring out of the drinking establishments. Since I haven’t been out on my bike for a few months, checking out some of the city’s graffiti hotspots was in order. Therefore, I headed out Trumbull Street to one of favorite outdoor galleries, an unassuming wall along some railroad tracks. 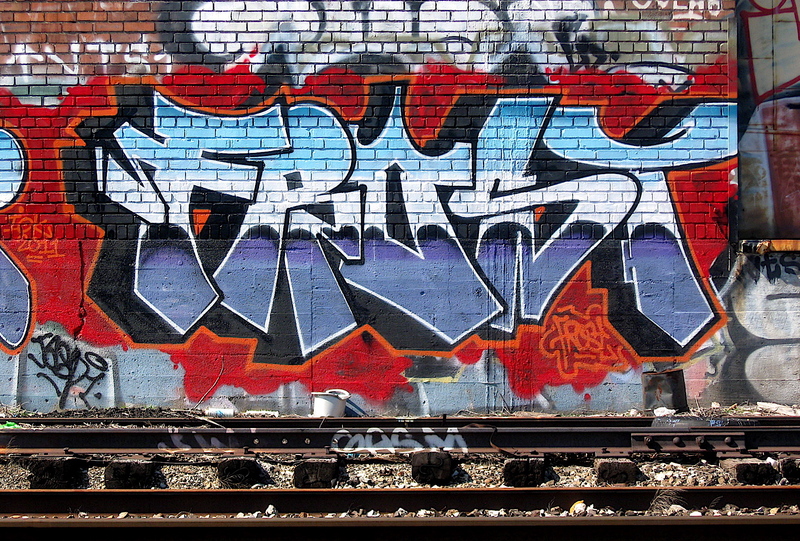 Once I made my way to the wall, I found some fresh, colorful pieces that weren’t there last fall. Checking them out, I was amazed, as always, at the flow and how creative the graffiti artists can be using only paint from spray cans. After poking around the site for a while, I hopped on my bike and headed back to the eastside. 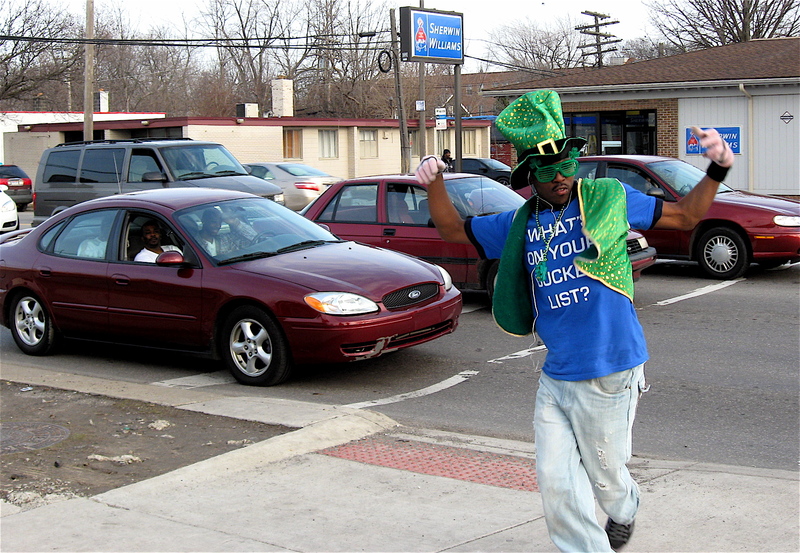 There is an energetic street corner dancer on Detroit’s eastside. He’s been out there on the street perfecting his style and smooth dance moves for a long time. Darius is his name, and he goes by Dazzlle. On most days he can be seen at the corner of East Warren Avenue and Cadieux Road doing his thing. On occasion, he can also be spotted at other high traffic intersections on the eastside. I see him dancing year around, generally in street clothes, but he tends to dress accordingly for particular holidays. On St. Patrick’s Day he’s decked out as an Irishman. For the Fourth of July, he’s usually dressed as the Statue of Liberty. During the Christmas Season he dressed as Santa. No matter the outfit, the man has some pretty good dance moves. 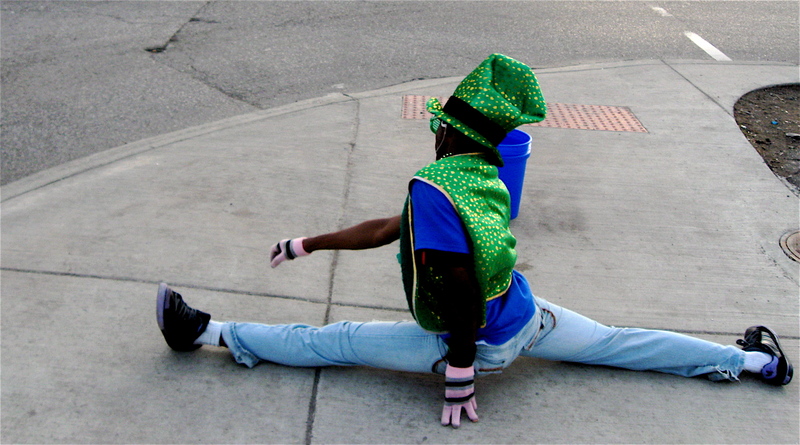 Dazzlle can do some amazing splits on the sidewalk where he slides down, quickly pops up, adjusts his pants and does a couple of fast spins, all in a matter in seconds. In many ways, he has the swagger of Elvis and the high-energy, quick body movements and stop actions of Michael Jackson. “I’ve been dancing on the streets for over 5 years.” he said. “I like this corner, this is where my fans are,” he said motioning toward the passing cars and trucks rolling down East Warren, some blowing their horns at him. Dazzlle is in his early twenties, and this is what he does for a living. “Gotta go out and do it man. This is how I make money,” he said while pointing to a coffee can where people can drop in money. Dazzlle said he dances at parties and someday he hopes to be a successful dancer and eventually offer dance classes. Take a look at Dazzlle’s Dancing Santa routine on YouTube from a year or so ago. 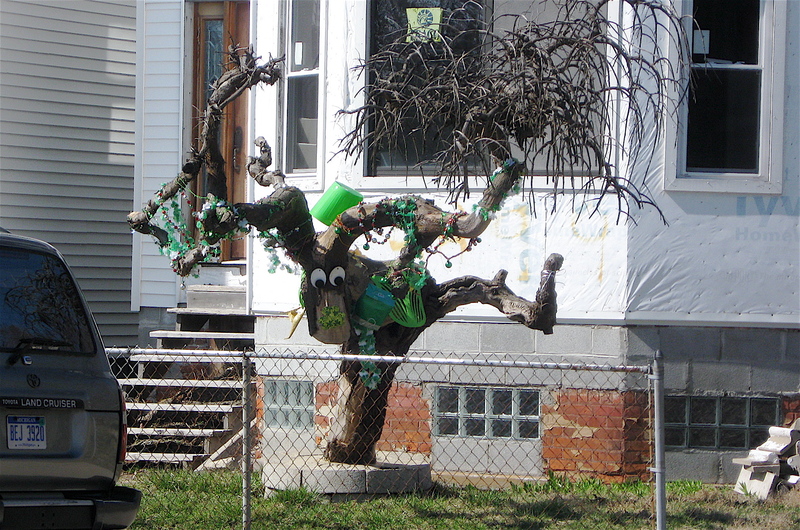 It will give you a good idea what he does on that eastside Detroit street corner. As I’ve written in the past, Detroit has plenty of interesting wall paintings and colorful, brightly painted advertisements on the sides of buildings. They promote a variety of goods and services that include liquor, cigarettes, money orders, check cashing services, poultry and an array of other items. A number of them are crudely hand drawn and somewhat hard to decipher. Others offer intricate, colorful graphics and detail. A few are elaborate in their wording and messaging. Many in the overall mix of images I see have religious themes. As expected, most of them are found on the sides of churches, both big and small. Others can be seen on mini billboards located on the less traveled secondary streets running through Detroit’s many neighborhoods. Certain sections of the city, such as Southwest Detroit, seem to have a higher concentration of them. Generally, they can be found just about anywhere in Detroit in a wide range of colors and sizes. 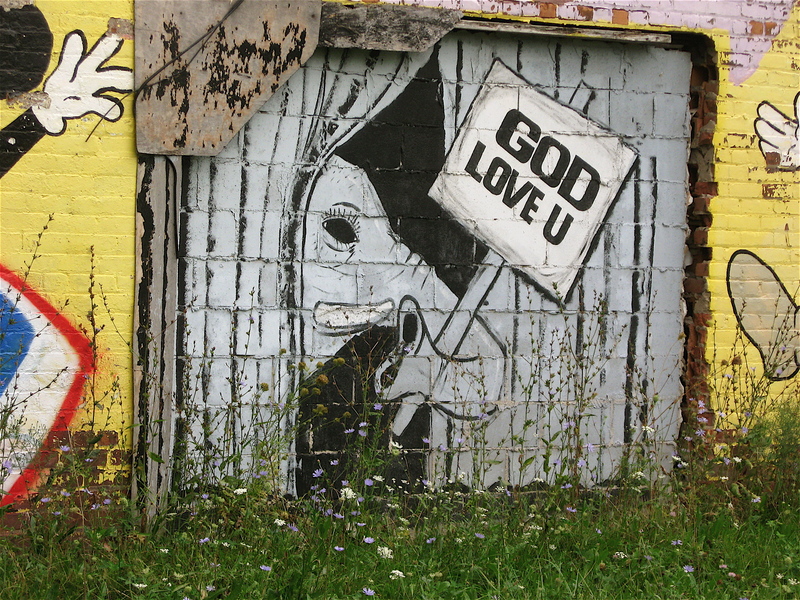 On my bike journeys, I stumbled across three that represent the broad perspective of religious paintings that can be found scattered across this city. These particular paintings are a small sampling of religious themed wall paintings; ranging from the sophisticated and highly detailed to the basic hand painted, unrefined wall paintings. 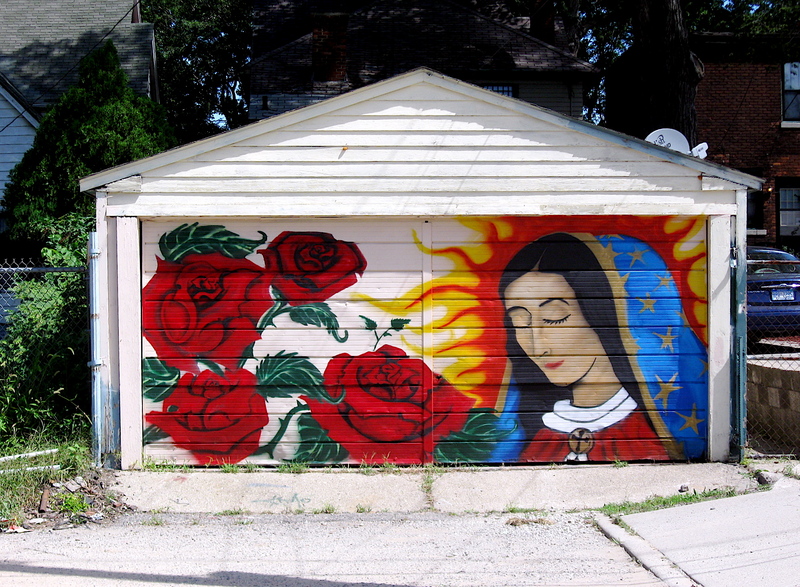 The painting below, found in a neighborhood in Southwest Detroit, represents the colorful, detailed variety of religious wall paintings found throughout Detroit. Although it is somewhat rare to see them on garages and other residential type buildings, I do spot them there on occasion. 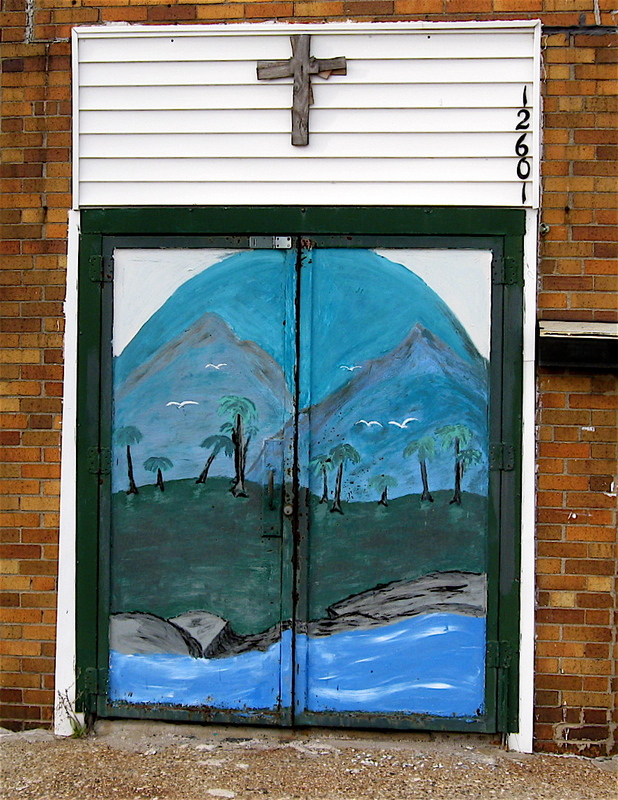 There are countless storefront churches in Detroit. Many of them are quite small and rather unassuming. But one of the cool things most have in common is the unsophisticated, free style wall paintings found on their buildings. This particular one reminds me of the spiritual song “Go Tell It On The Mountain”. Not all religious paintings I see are actually sacred in nature. Some, I assume, use the word God, Jesus and other religious words in their messaging to draw attention. From what I’ve seen from my bike, most of the businesses using these terms on wall graphics, are day-care centers or nurseries. Here is a quirky example of what appears to be a circus tent painted on a bricked-in entrance with the word God on a makeshift sign.